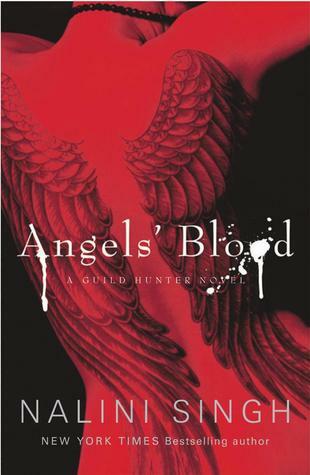 Angel’s Blood is the first book in the Guild Hunter series by Nalini Singh. 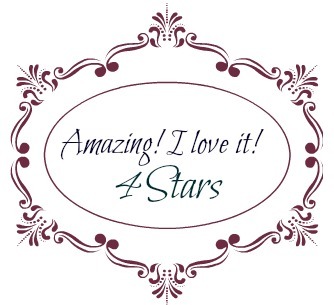 Singh takes you to an alternate world where archangels, angels, vampires and humans co-exist. Archangels are at the top of the food chain followed by angels, vampires and finally the ever-mortal humans. The angels and archangels are strict capitalists and the archangels rule the world with a closed fist. It is a completely novel and interesting take on angels and archangels. Elena Deveraux is a hunter and the best one of her kind. She is also a hunter-born, which means she can scent vampires and thus easily catch the rogues. But the job she has been contracted for by the Archangel of New York, Raphael, is not her usual job. Catching a rouge archangel in the throes of bloodlust will be the most difficult hunt of her career and one that could get her killed. Failing is not an option, or else what the archangel might do to her would probably be worse than death. Elena is also sucked into the deep blue eyes of one of the most dangerous Archangels, eyes that remind her of the sea and a man who smells like the rain. Those eyes promise a passion which if unleashed could be more than she could take. While Elena is quite prudent, Raphael is very blatant in his desire for the hunter, the one warrior woman he wants to posses. Raphael is your typical alpha male, whose arrogance knows no bounds, but his love and passion is also equally fierce. Elena holds her own with Raphael and fights to retain her individual personality. There is more romance in the book than action, but the when the action takes place it blows your mind. The constant hunt for the rogue archangel does not bore you. The chemistry between Elena and Raphael is burning hot and makes you want more. Elena intrigues Raphael like no one ever has, and she is the only woman who makes him a little human in all the ways that count. The final fight sequence will chill you to your bones and will keep you on your toes. You are constantly on the look out for what is going to happen next. The world building throughout the book was awesome. The descriptions of the angels’ wings were so brilliant, you’d wish you had a pair. This book also gives a whole new meaning to the concept of true love’s kiss. Angel’s Blood made me laugh and cry. It made me want more. And it made me ridiculously happy. One of the best works of Nalini Singh. This is the fifth time I am reading this book and still it has a tight grip on me. Anyone who hasn’t read this series, or this author for that matter is missing out. Nalini Singh is well in league with Ilona Andrews and Jeaniene Frost if you ask me.